Workflow customization is also included in Job Templates. This makes it easy to create & maintain unique workflows for specific departments & locations. Learn how in our helpcenter article about how to customize your workflow. 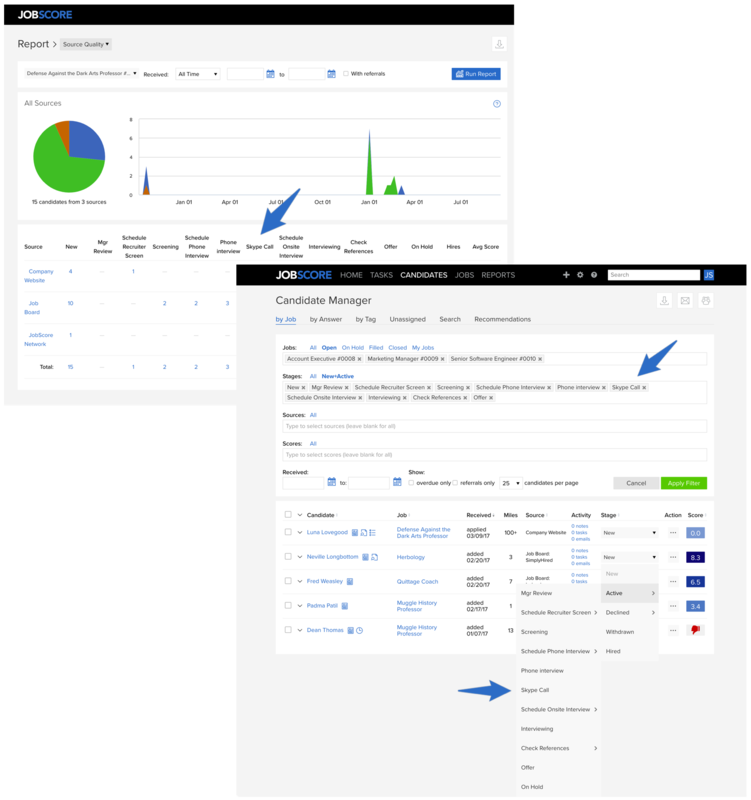 Workflow customization per job is available on the professional and enterprise plans. 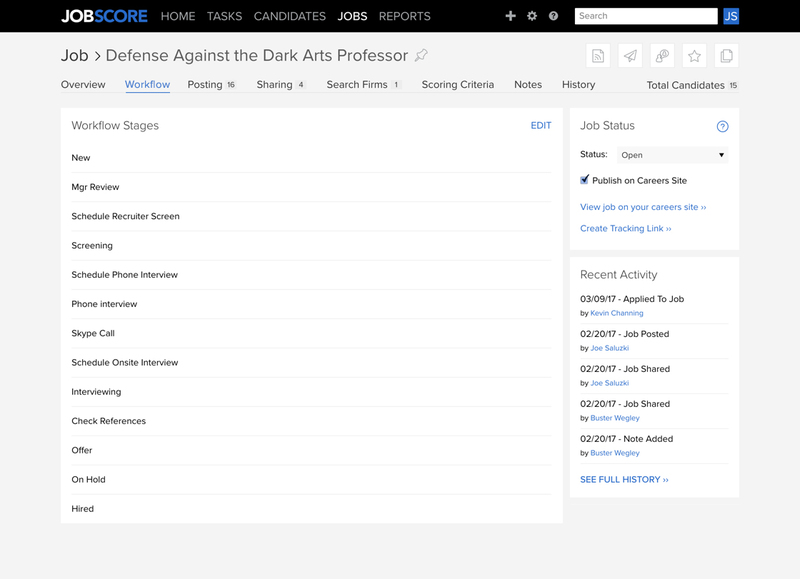 Please email support@jobscore.com with questions about how to customize your workflow.